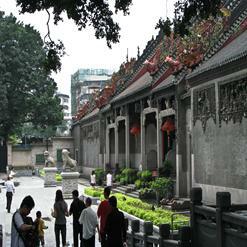 This temple is one of the most popular and interesting Buddhist temples in the city. It is also called as "the cradle of Buddhism in China". It was built during Southern Song Dynasty. It also has two stone lions and drums in front of the entrance.